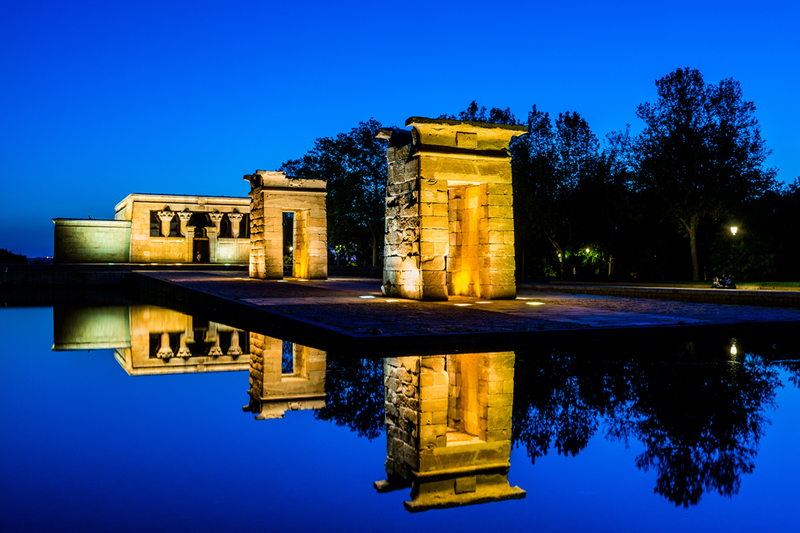 There is so much to see and do in Madrid that you will definitely be spoilt for choice. Whether you’re interested in history or culture, art or architecture, here’s our top picks of Madrid’s unmissable sights. This palace holds the distinction of being Europe’s largest, with almost 3,500 rooms. Its lavish décor certainly befits its stature, with grand staircases and walls bedecked with famous works of art. Visit the Royal Chemist’s, the impressive Royal Armoury and the kitchen and dining room, with chandeliers, which each contained over 1000 candles! Facing the Royal Palace is the Almudena Cathedral, which took more than a century to build. It brings together an intriguing blend of different architectural styles. Highlights include the beautiful stained glass windows and the brightly coloured ceiling. Don’t miss a visit to the Crypt! Madrid is home to narrow streets and grand squares – perfect to explore on foot. Wander around Madrid’s oldest neighbourhood Madrid de los Austrias, strolling past unadorned mansions and the high walls of convents. 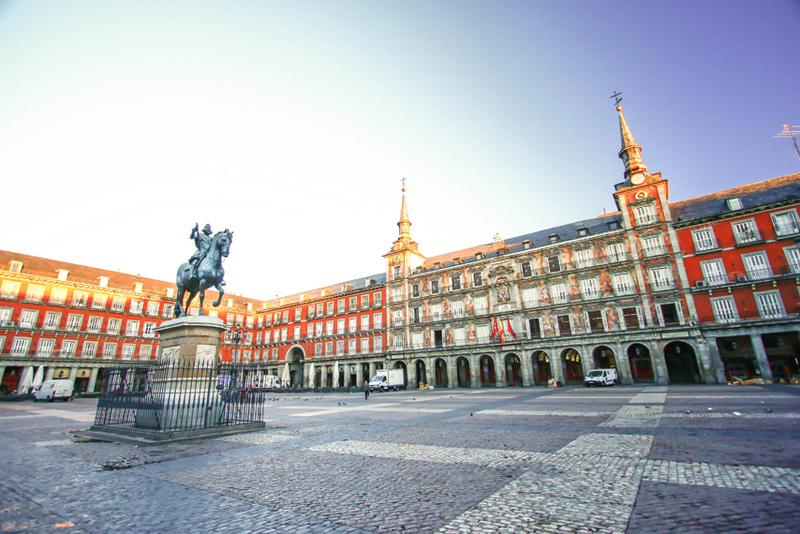 One of Madrid’s best known landmarks is the Plaza Mayor, the majestic square which has been the centre of Madrid’s celebrations throughout the ages – from coronations to executions and bull fights! At the heart of Madrid is Puerta del Sol, the square, which boasts the huge statue of a bear feasting on fruits plucked from a tree which symbolises the city. It is also home to Madrid’s iconic clock. One of the city’s most attractive squares, which has played its part in city life since medieval times is the Plaza de la Villa, where the former city hall is situated – a fine example of Spanish Baroque architecture. You should also be sure to visit the Plaza del Humilladero where the San Isidro Museum is located, which tells the story of Madrid and of its patron saint. Make sure to fit in a break from sightseeing at the Sobrino de Botín, known to be the world’s oldest restaurant. It was opened in 1725 and still serves the same delicious speciality of roast suckling pig. This Egyptian temple may appear a little incongruous, but is well worth a visit. It dates from the second century and was given to Spain by Egypt during the construction of the great Aswan Dam. 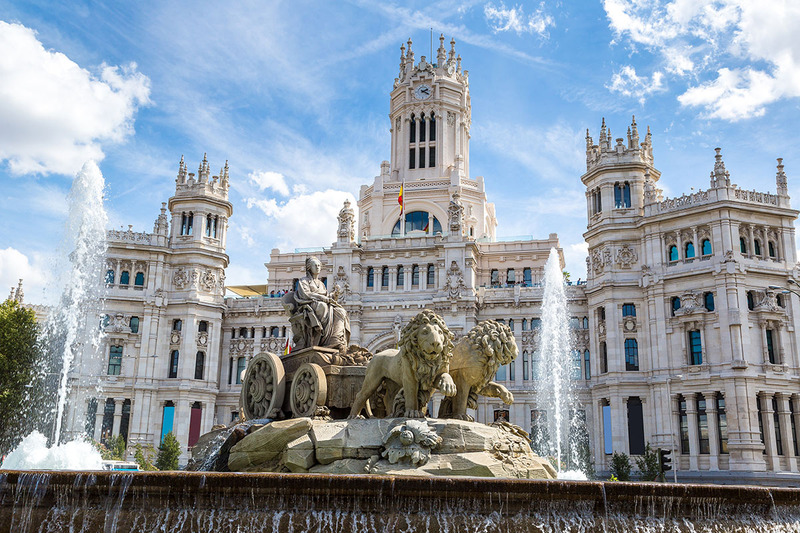 This iconic landmark, stands in the midst of the Plaza de Cibeles, surrounded by some of Madrid’s most impressive buildings: Buenavista Palace, Linares Palace, Cibeles Palace and the Bank of Spain. It was built in 1782 and once provided water for the city’s mansions. It will be very familiar to Real Madrid fans! This is one of the five original gates which once provided access to the city. It pre-dates other similar European monuments such as the Arc de Triomphe, and is considered to be the first modern triumphal arch, built in Europe, after the time of the Romans. Its impressive structure is topped by statues representing the four cardinal virtues.